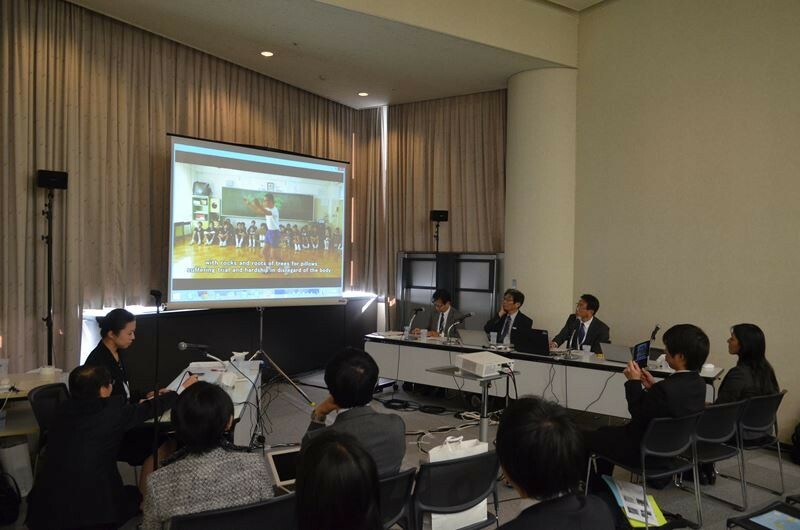 5,220 students of 106 schools have participated from 28 Counties/Regions in IIME 2014 (September 2014 to March 2015). 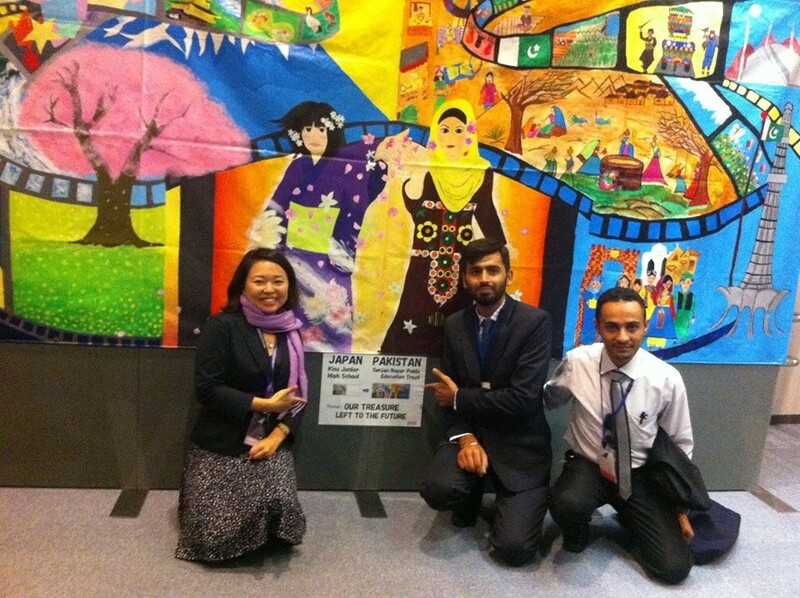 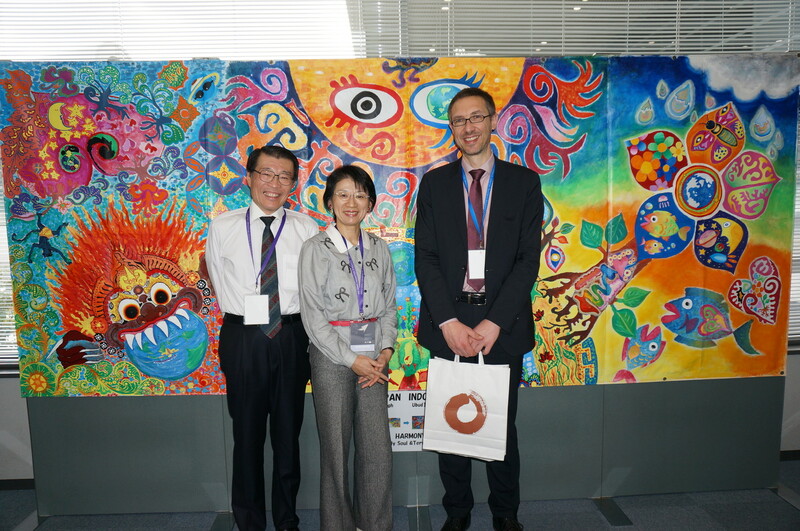 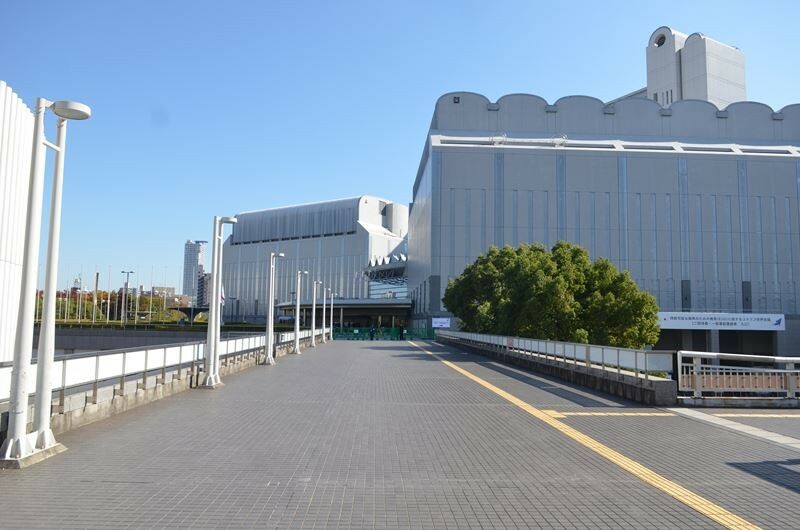 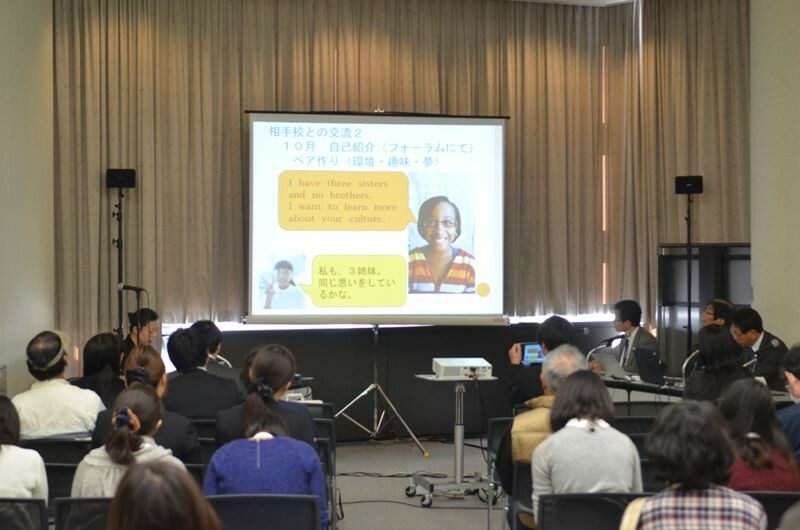 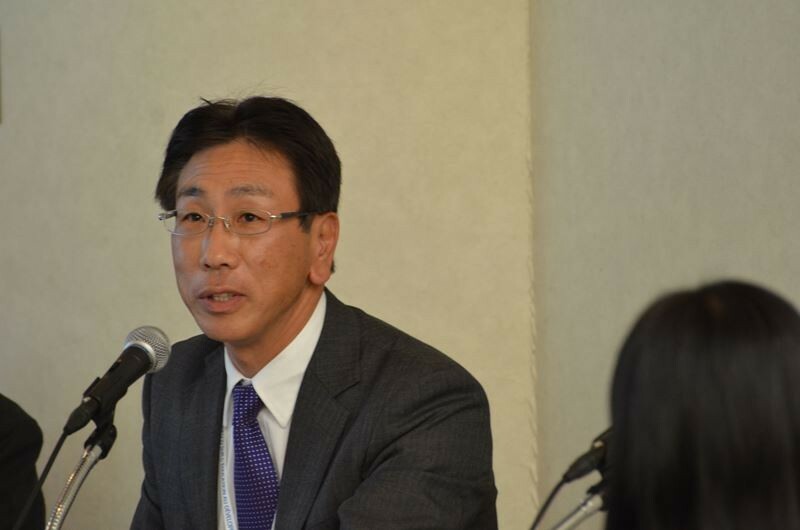 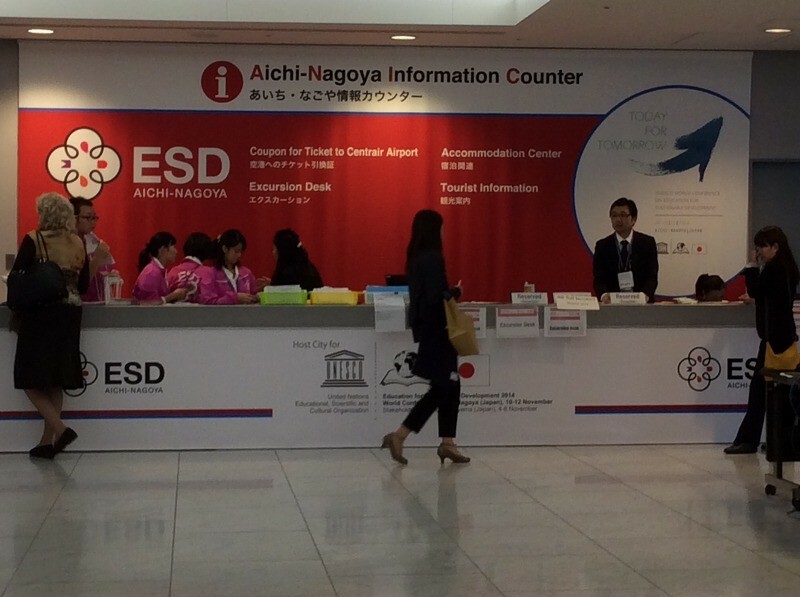 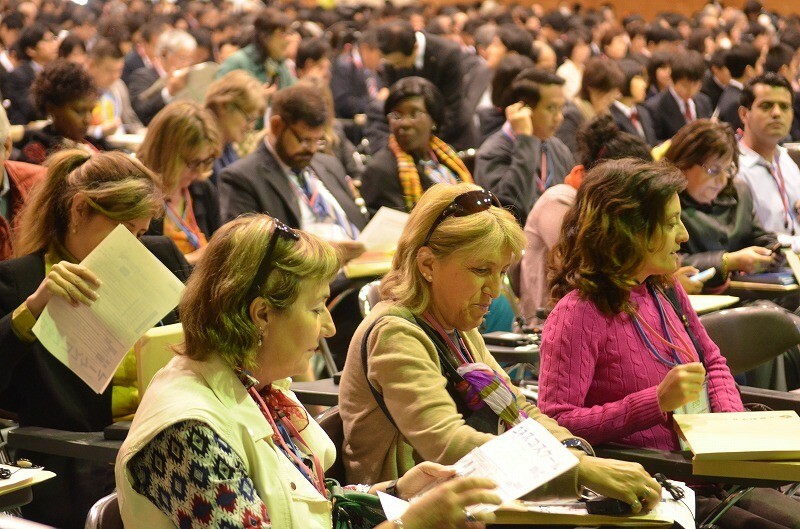 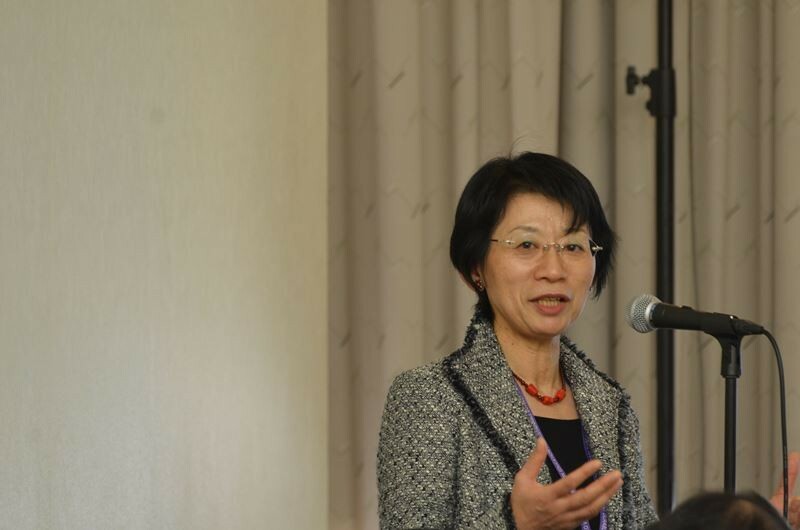 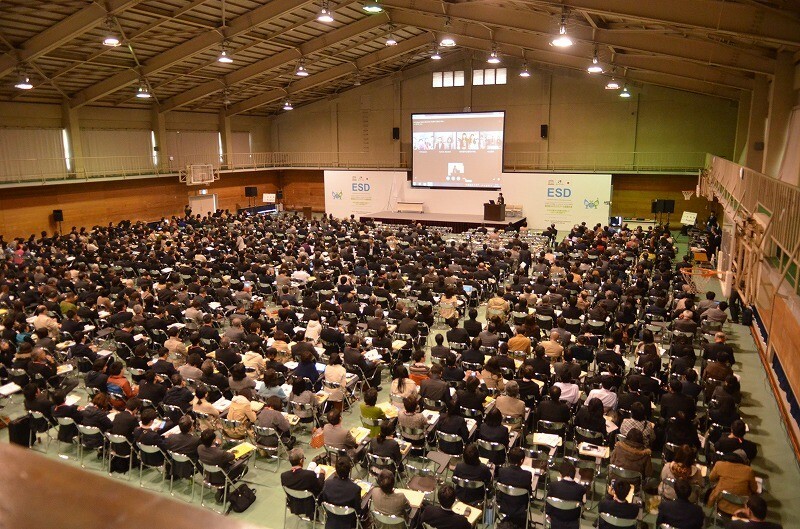 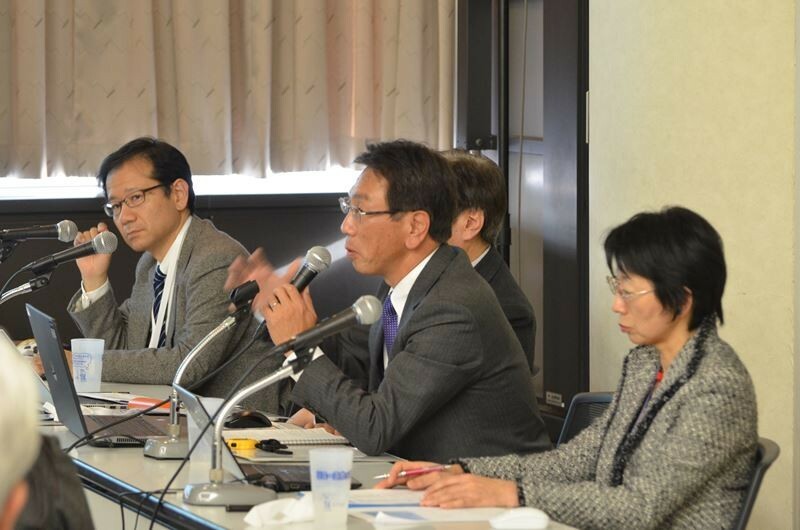 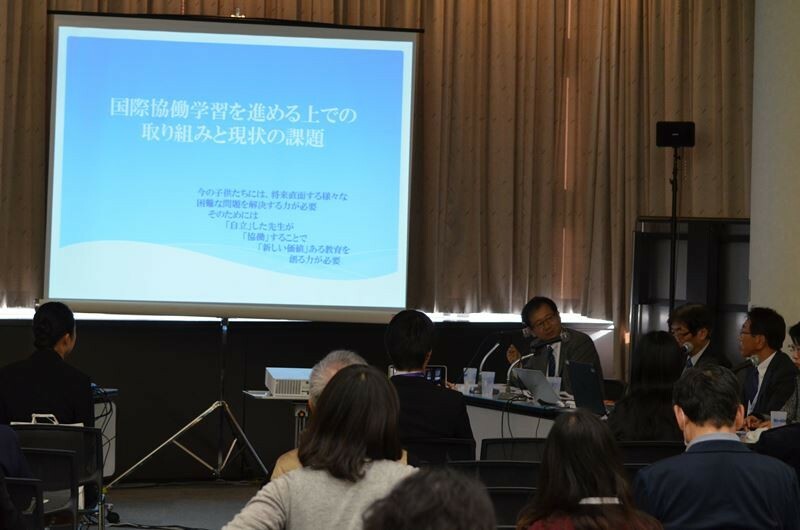 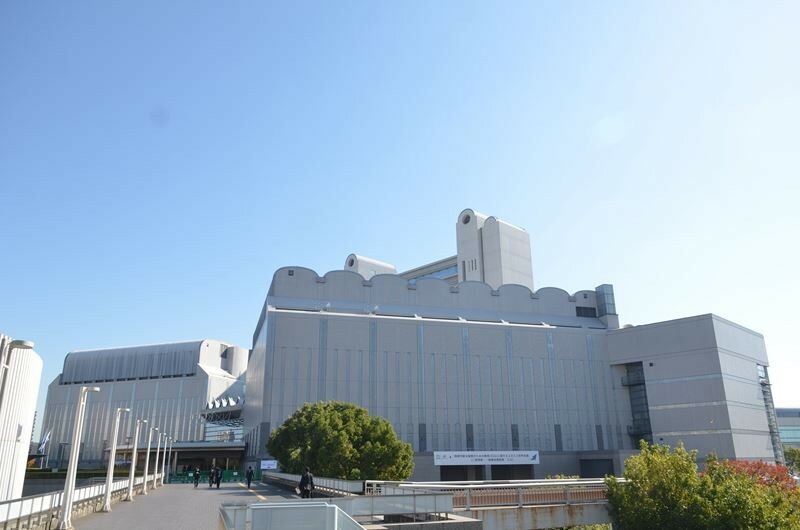 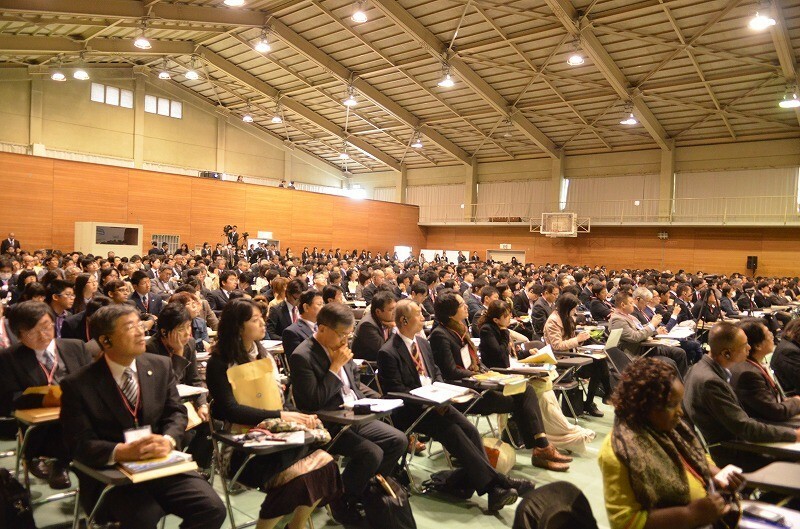 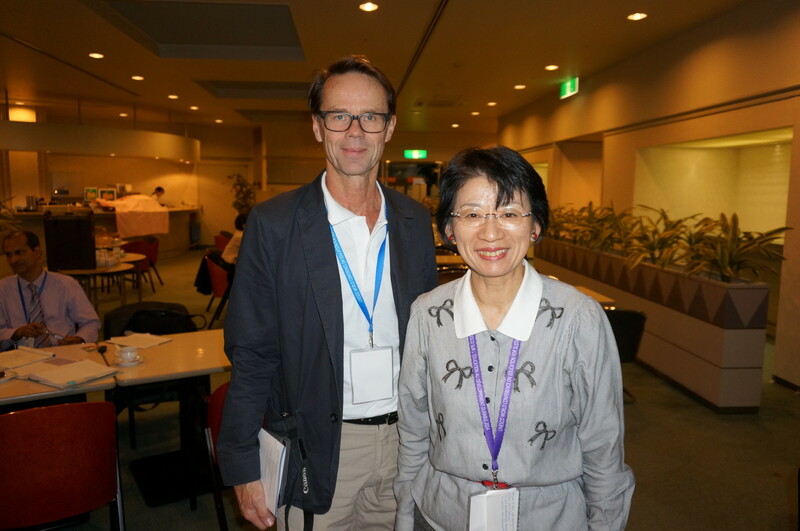 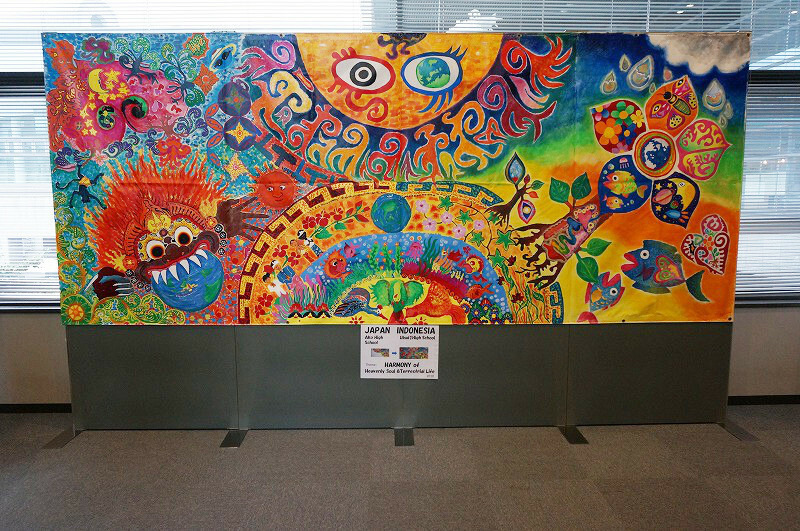 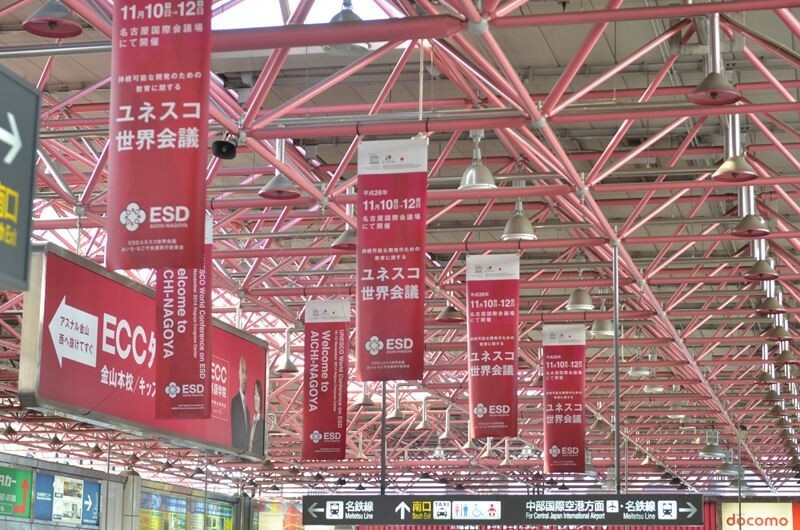 ESD UNESCO WORLD CONFERENCE 2014, Nov.
UNESCO World Conference on Education for Sustainable Development (ESD) was held in Okayama and Nagoya. 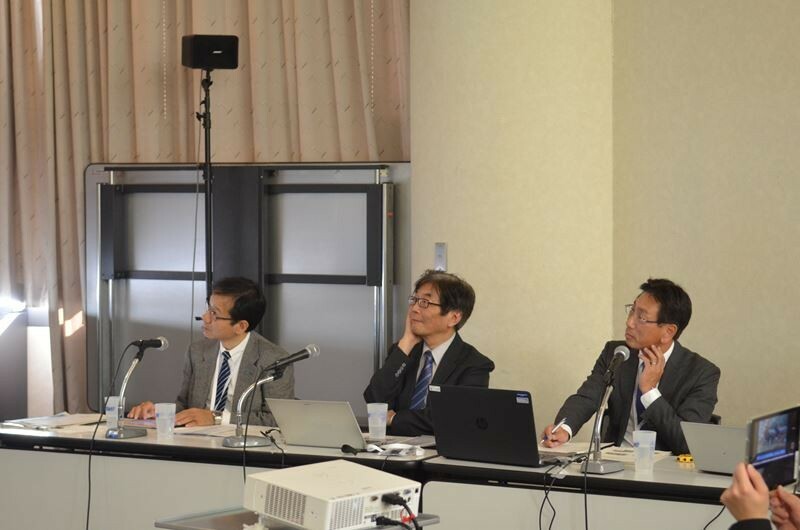 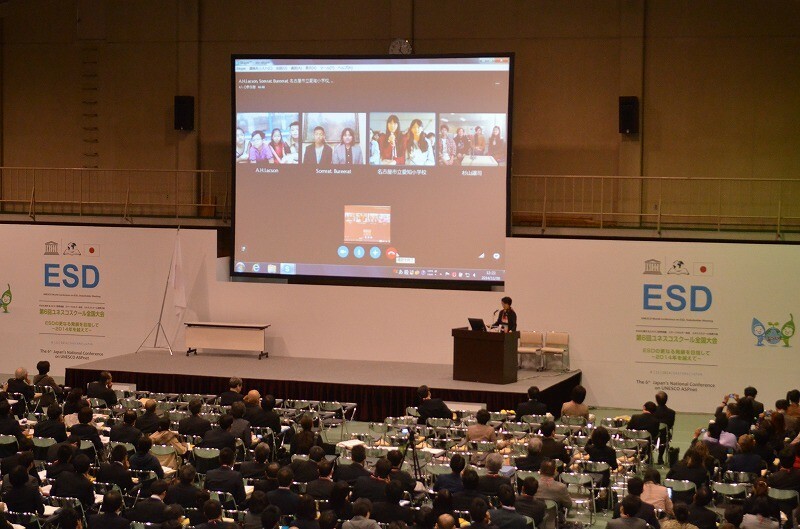 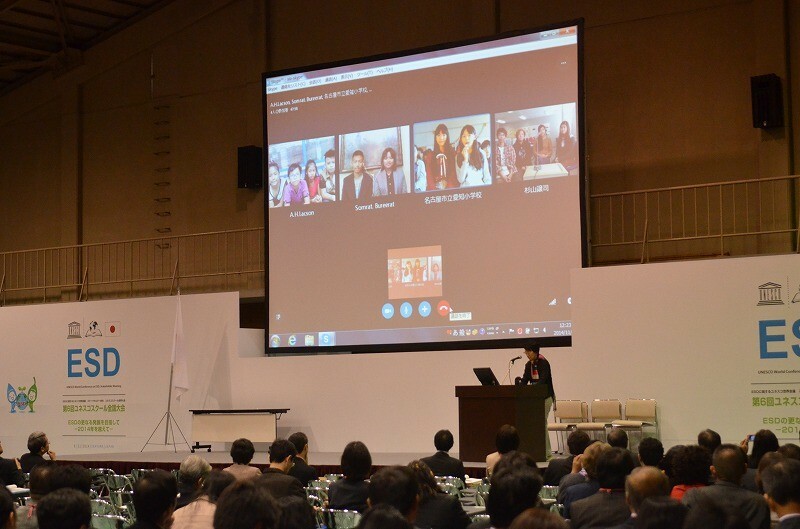 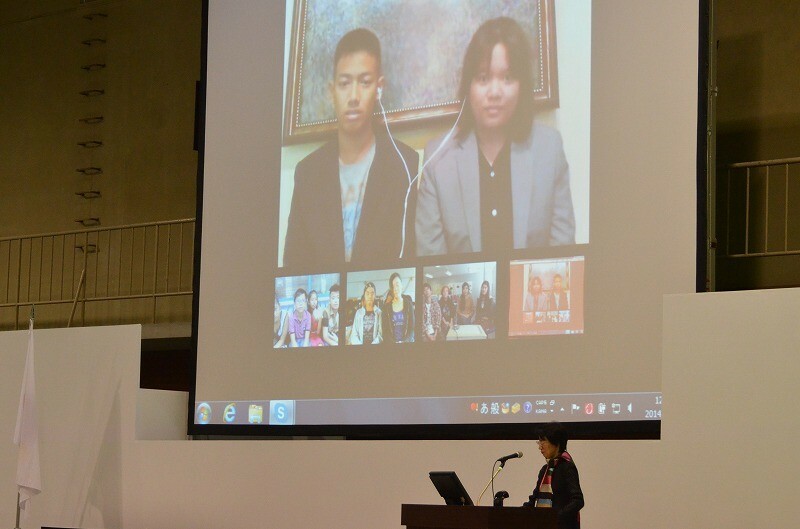 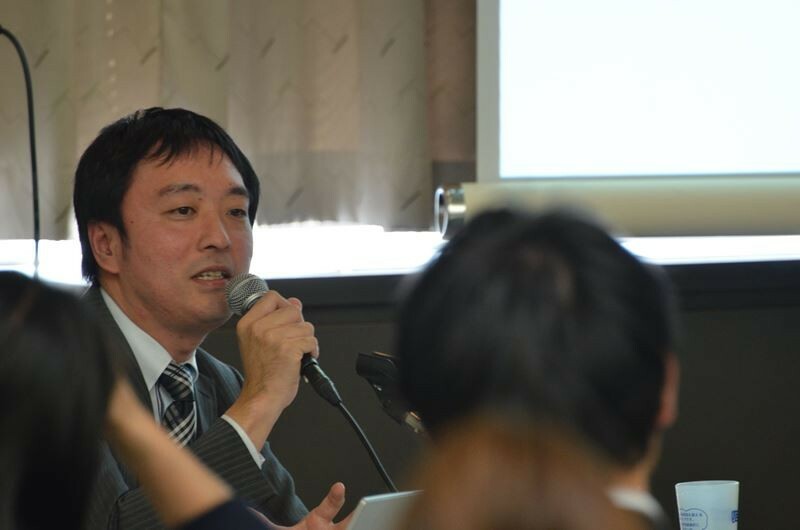 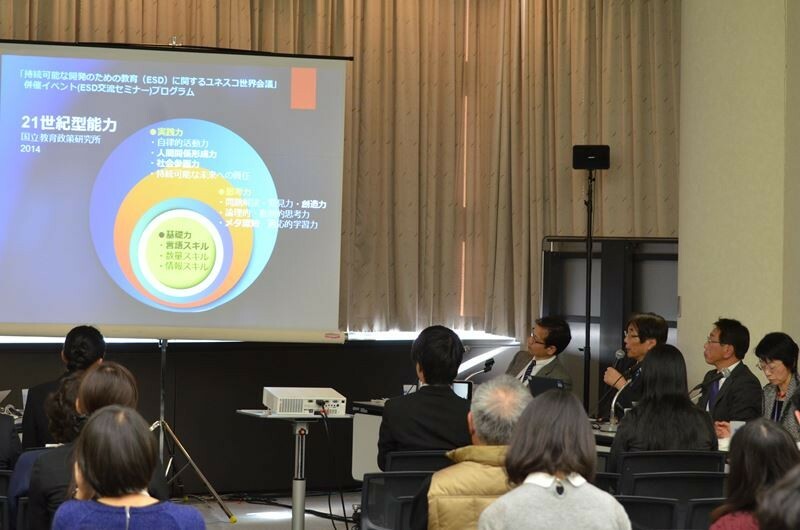 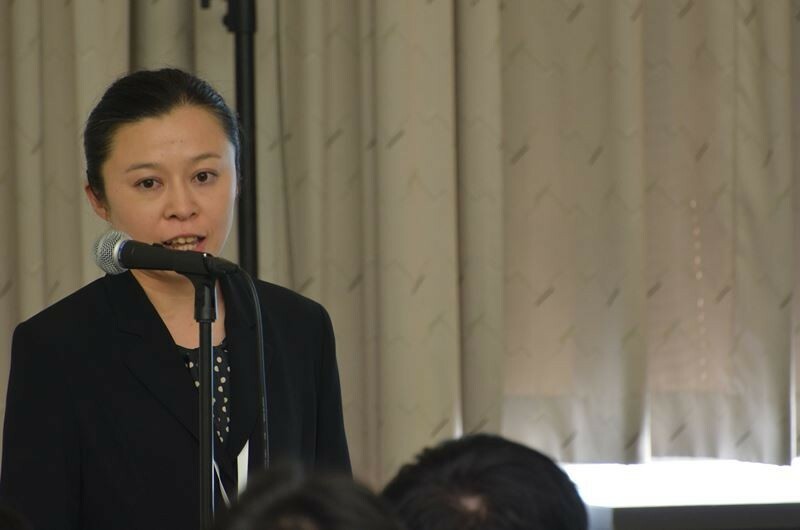 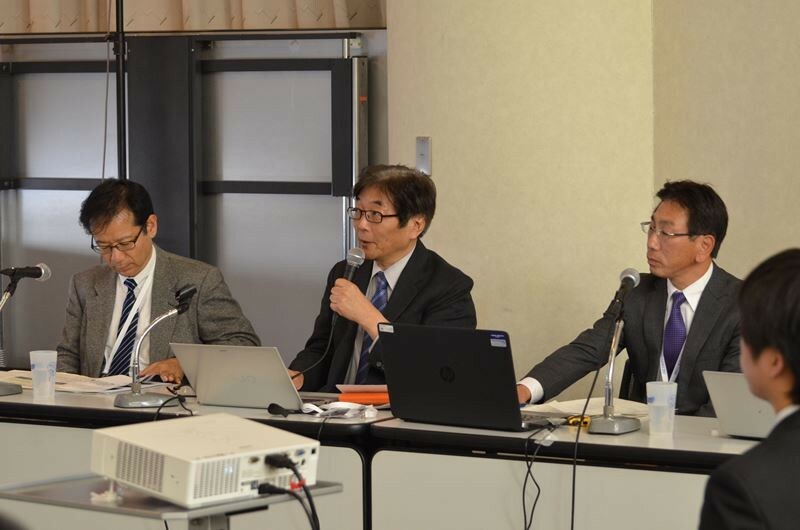 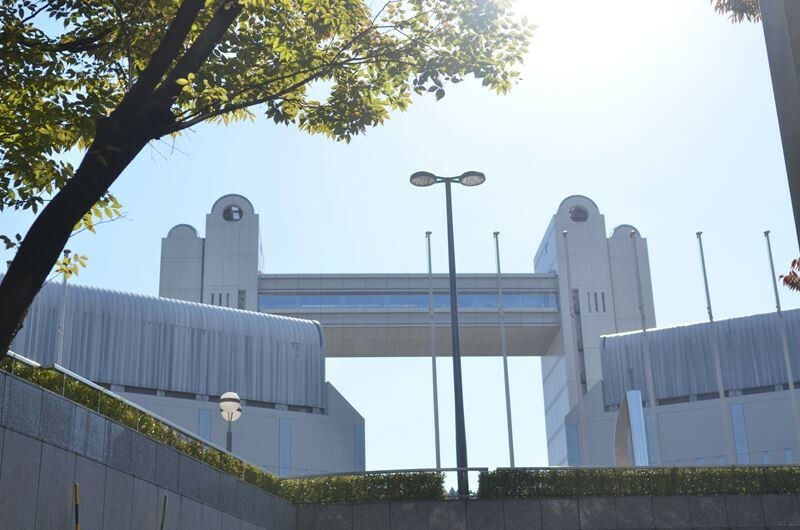 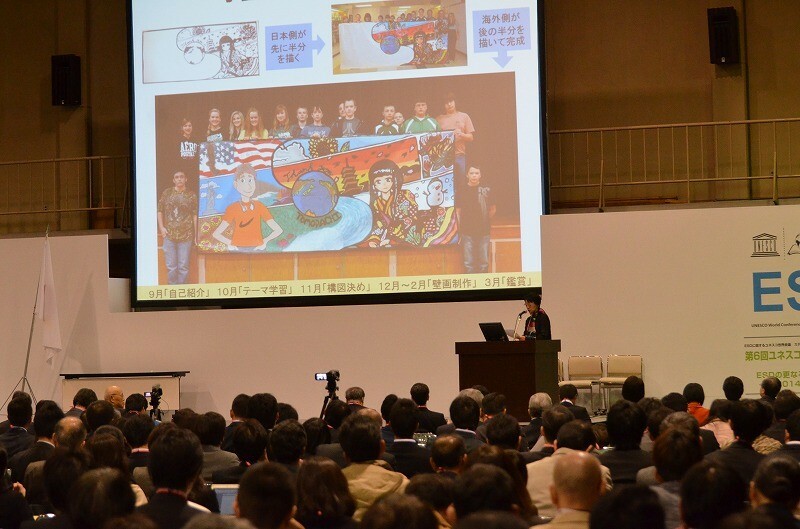 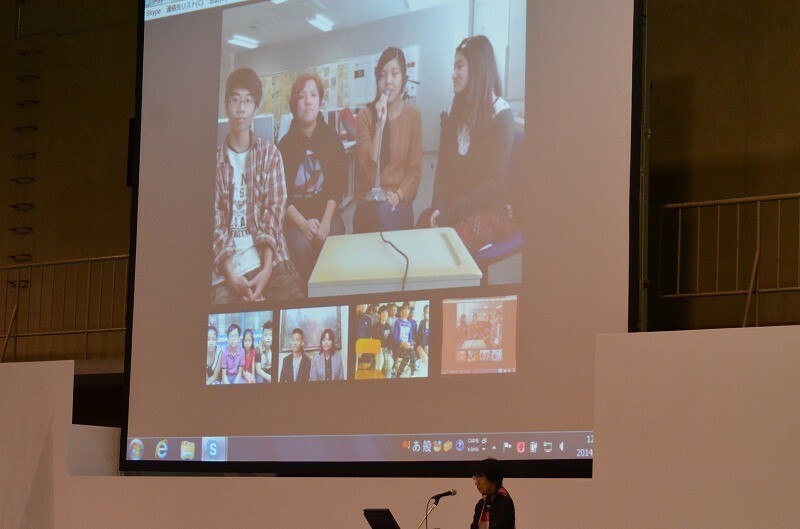 JAM held a Skype Meeting connecting the world in Okayama on November 8 at UNESCO ASPnet World Conference, at the request of Japan's Ministry of Education, Culture, Sports, Science and Technology. 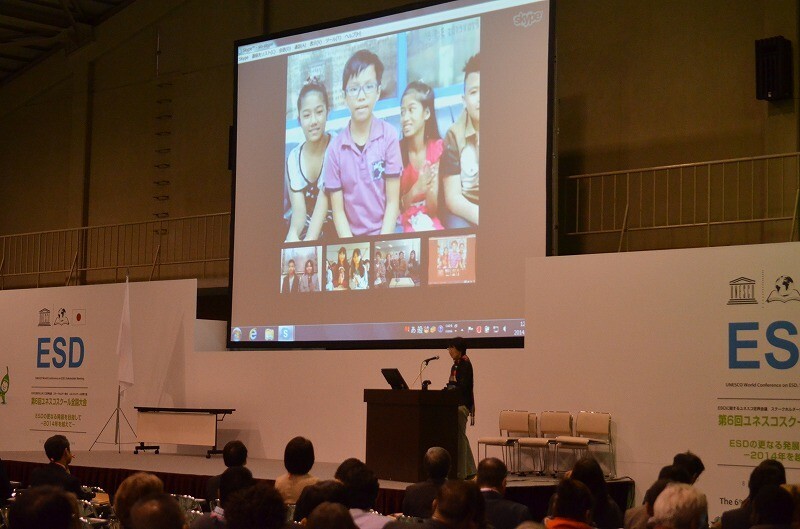 JAM connected four IIME schools at one time, two from Japan and two from overseas. 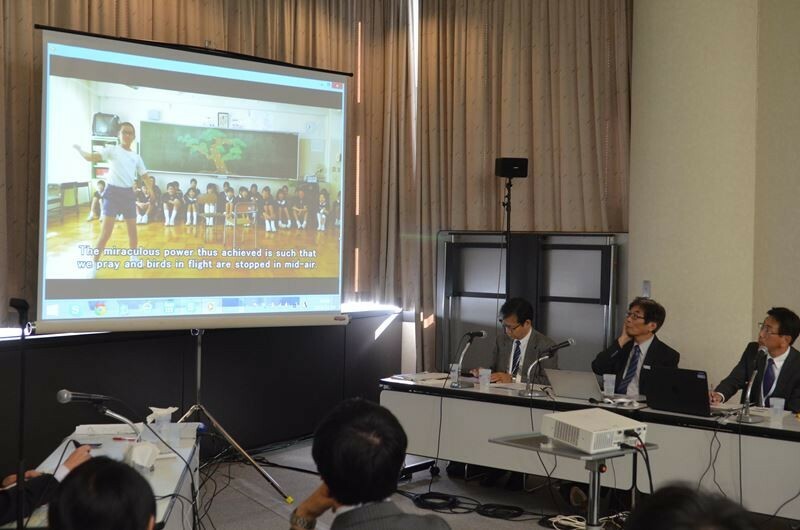 The Japanese schools belong to UNESCO ASPnet and those from overseas are their partners. 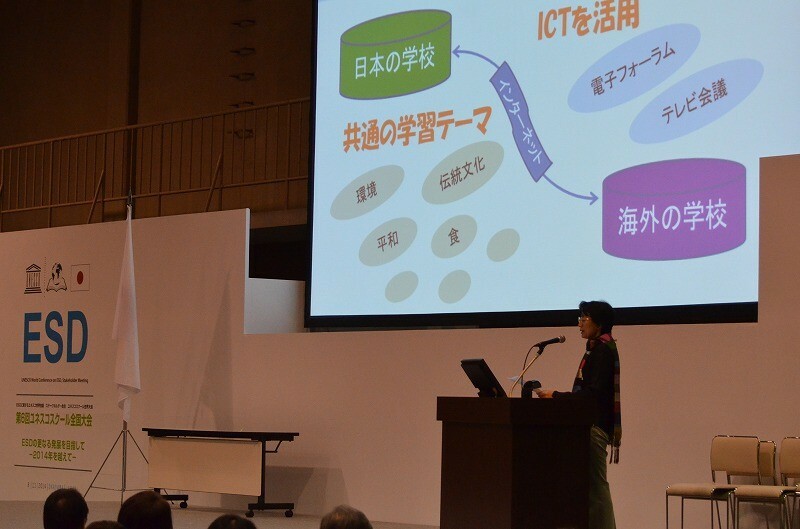 The students presented outcomes of their collaborative learnings on the following themes. 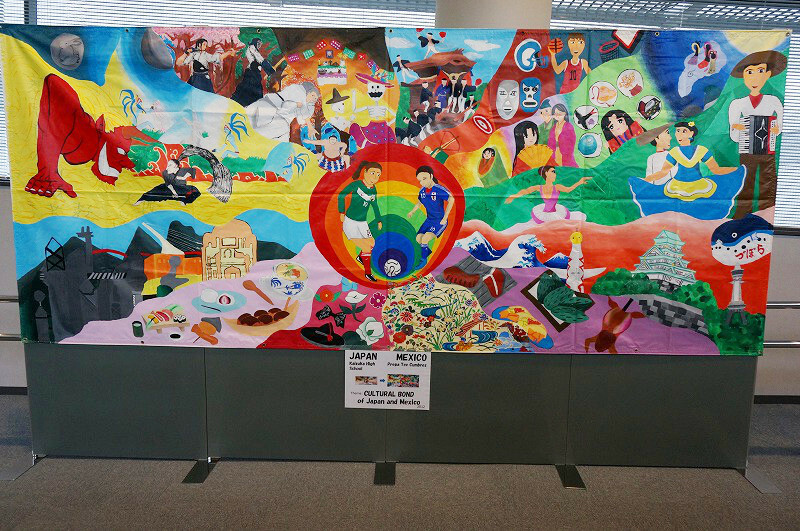 -Aichi / A.H. Lacson: "What is important in our life?" 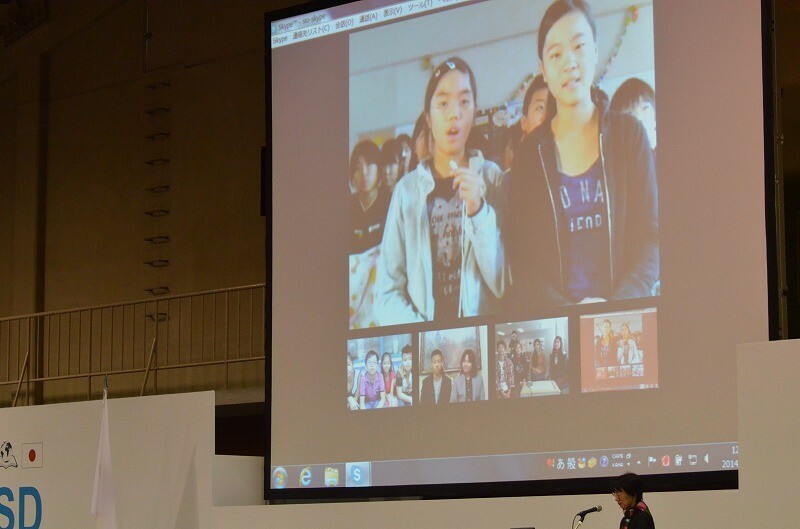 The students talked about what they have learned and how their impression towards their partner country has changed through the project..
You can watch the presentation on USTREAM. 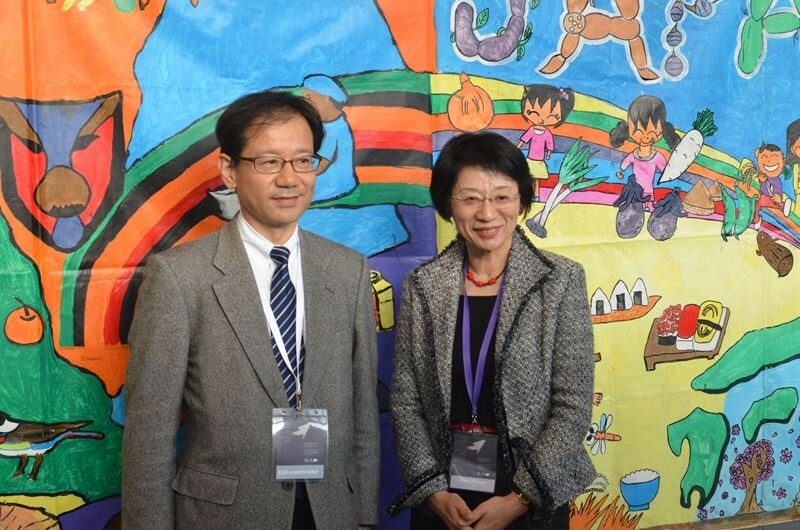 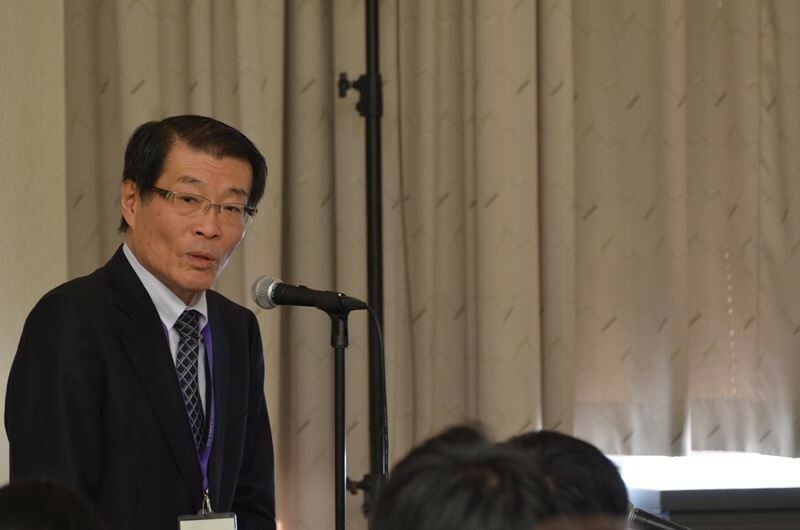 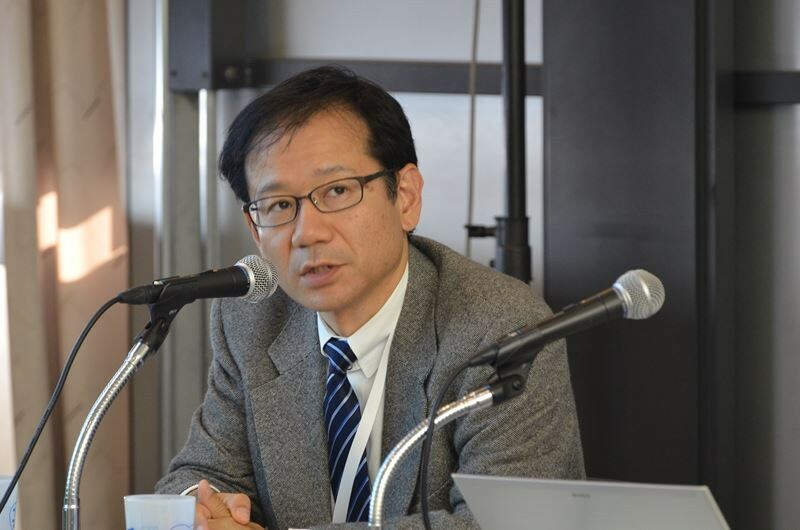 "Foster generations who will create the sustainable future through IIME"
Mr. Kan SUZUKI, Special Advisor to Minister of Education, Culture, Sports, Science and Technology, admired the IIME project and JAM's school support system. 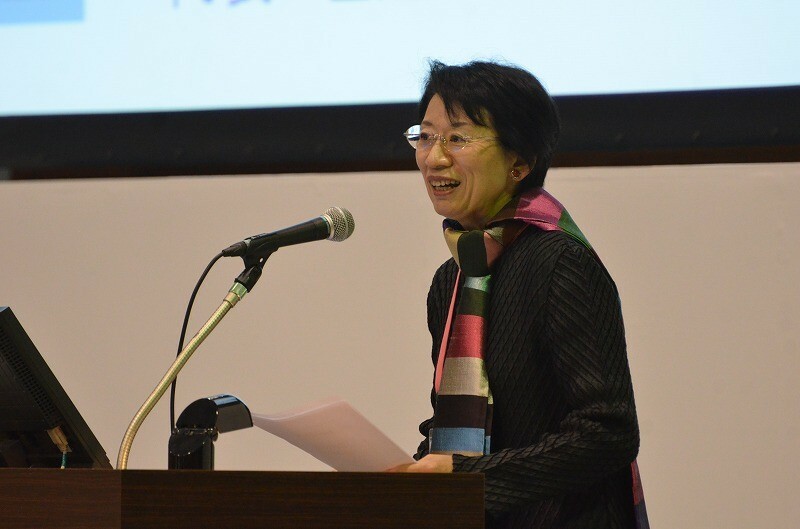 "ONE good practice includes ALL more than 1000 academic papers!" 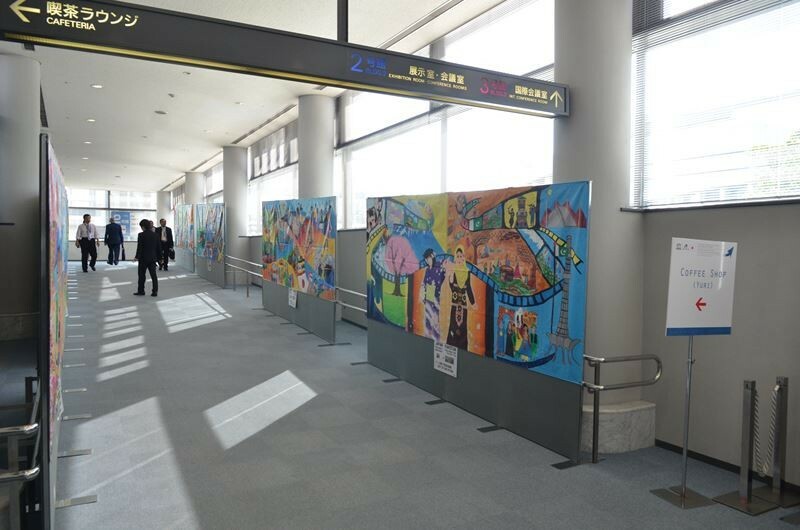 "ONE mural tells ALL more than 1000 stories!" 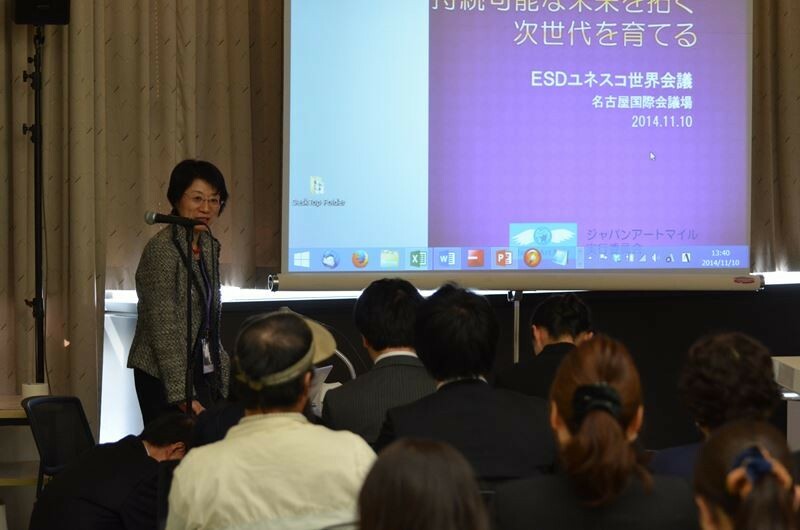 "ALL that you have to do is eat this delicious dish (IIME)!" 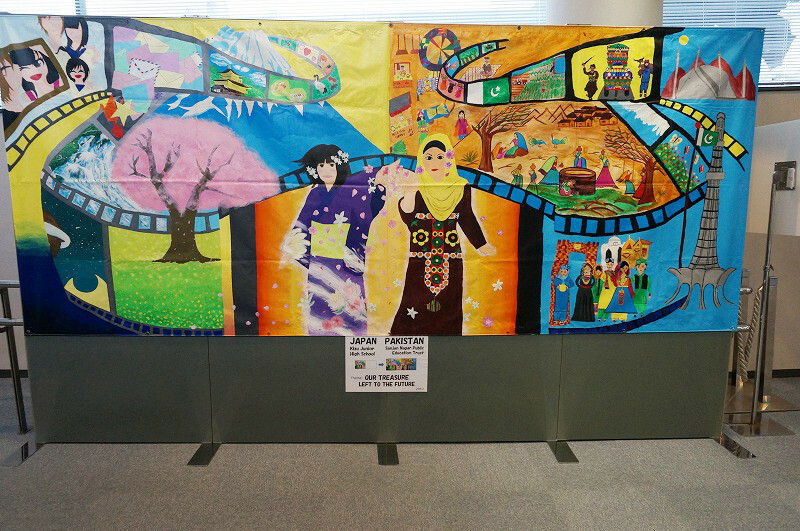 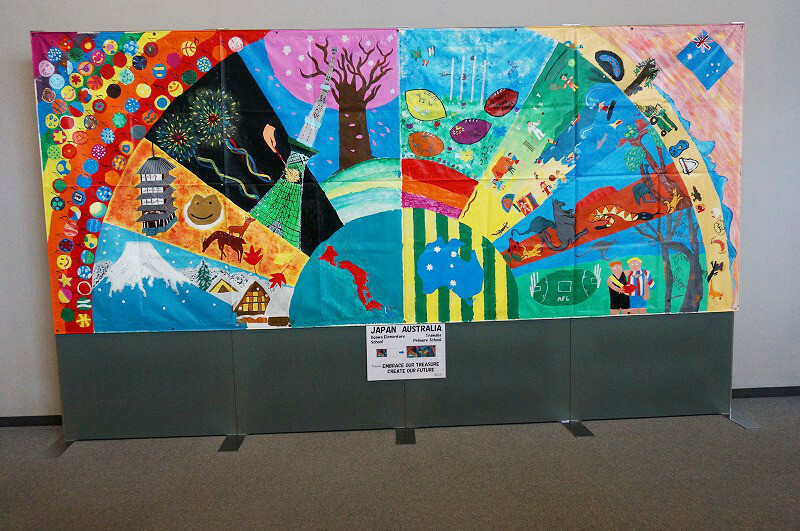 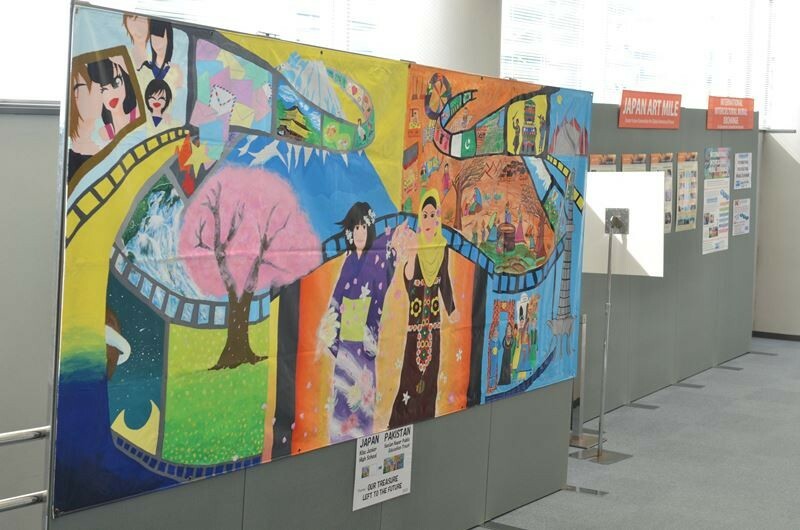 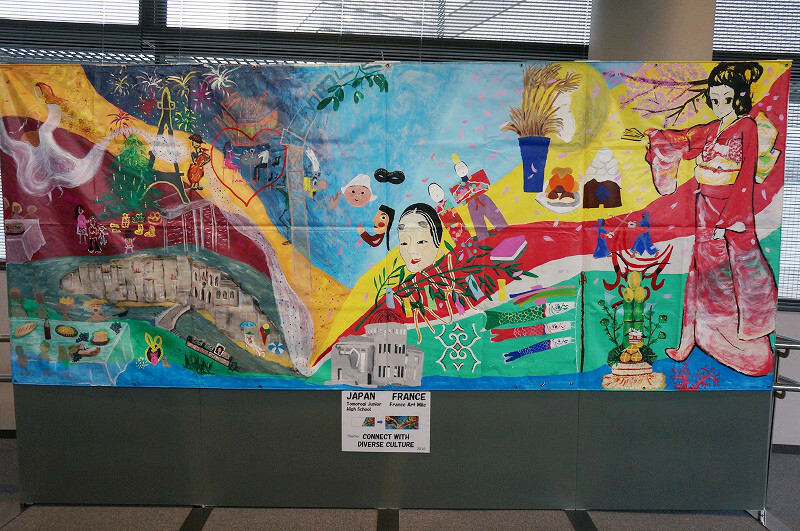 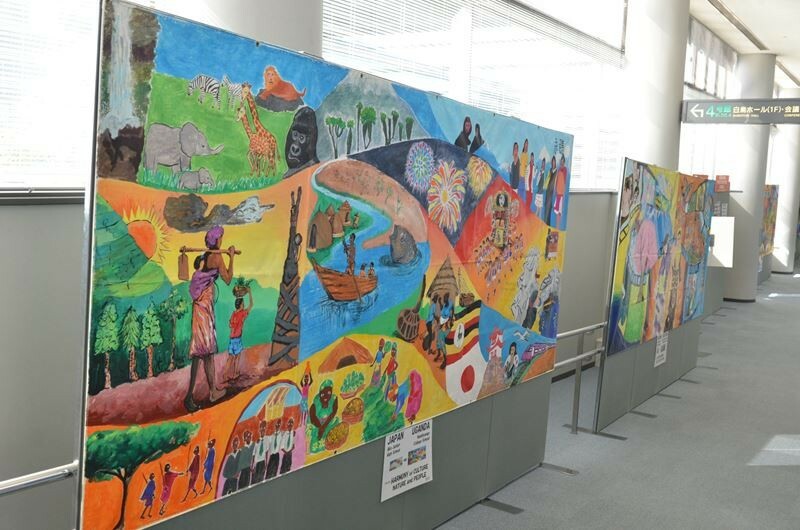 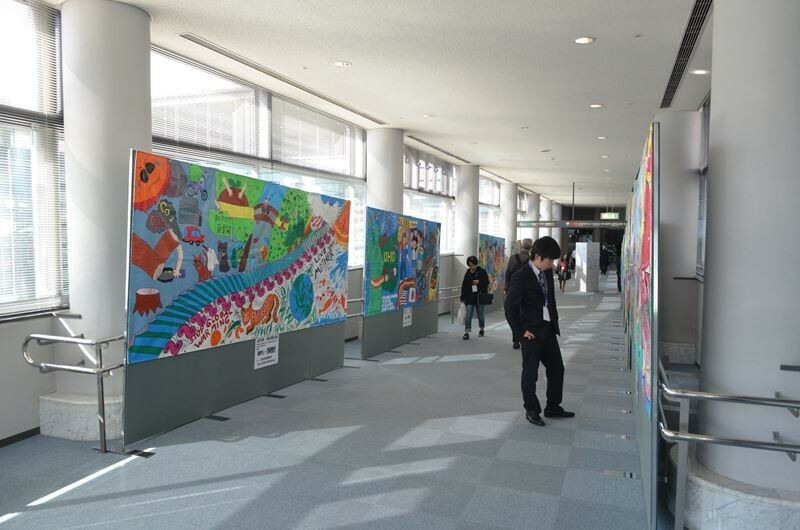 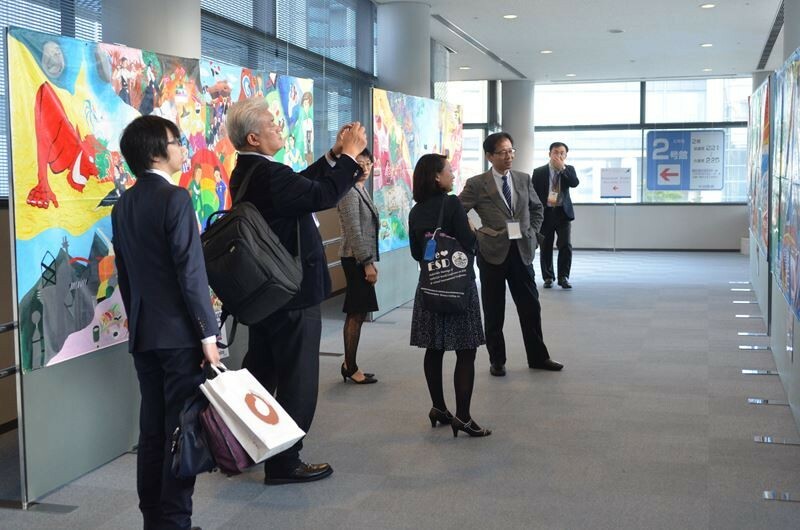 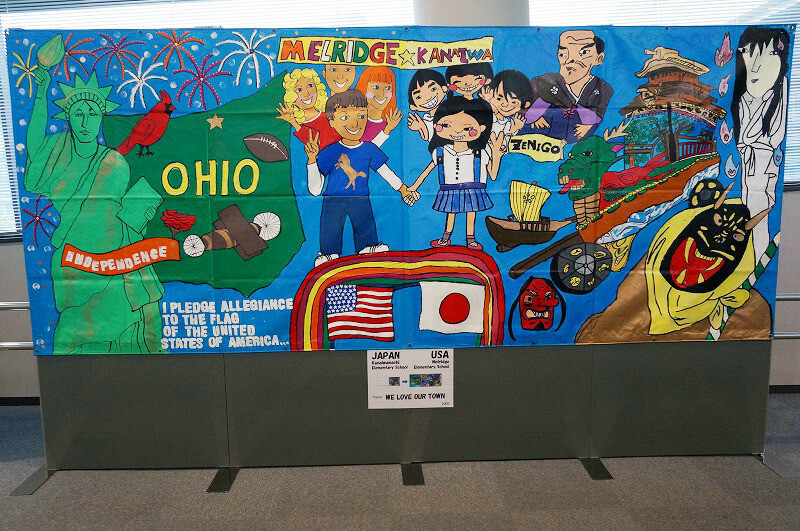 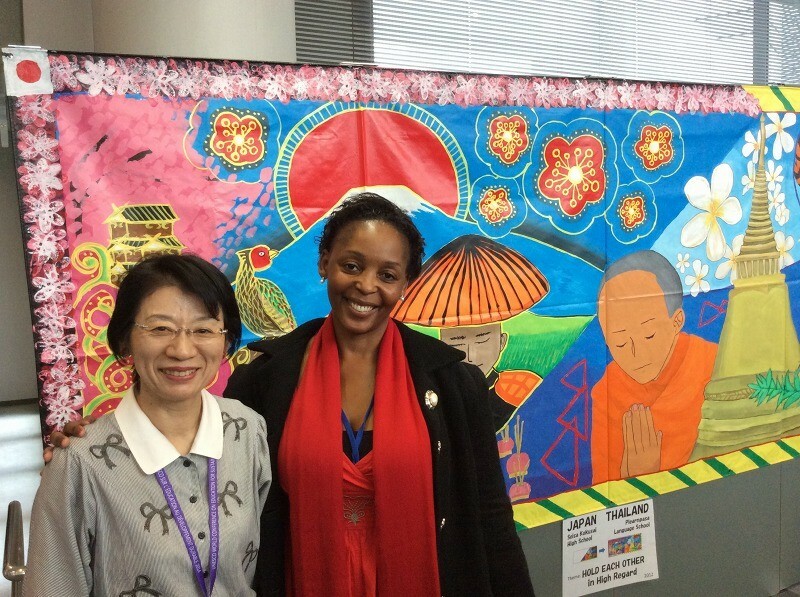 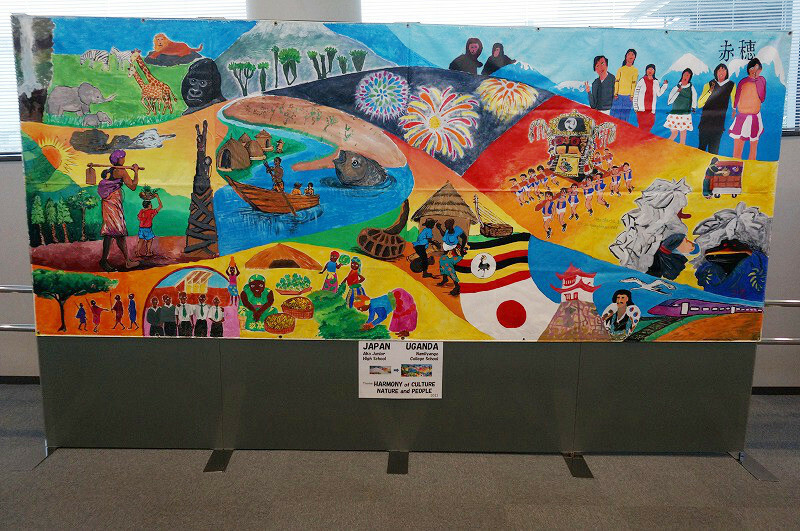 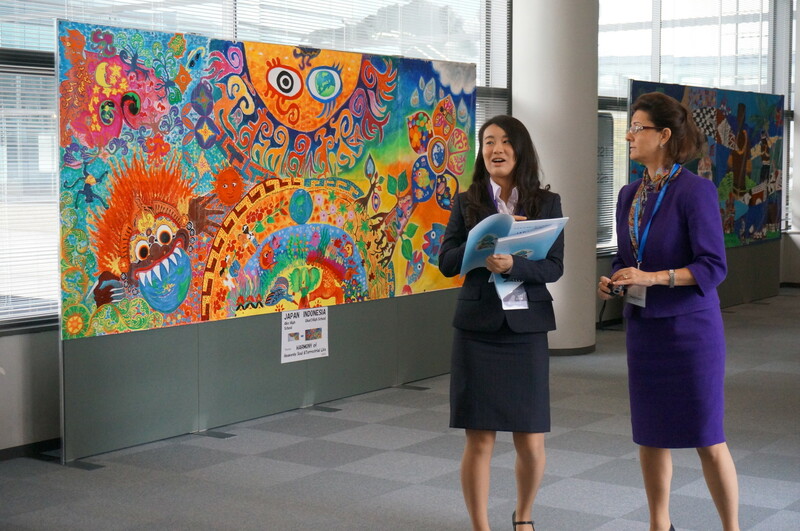 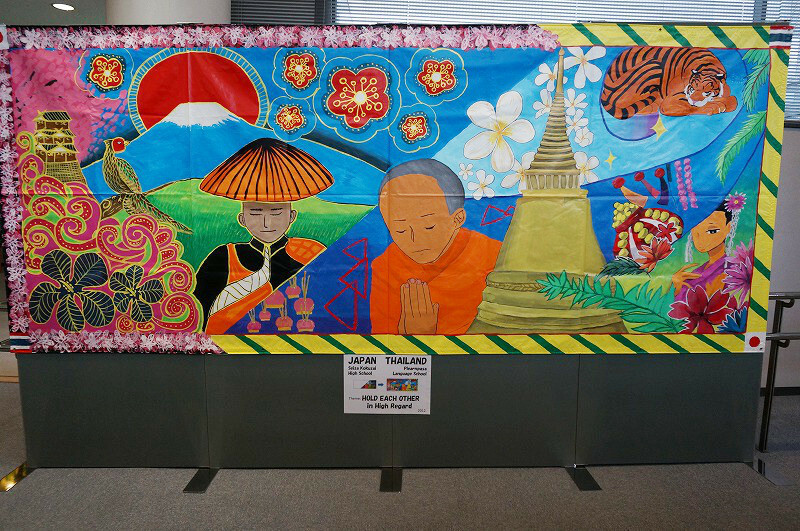 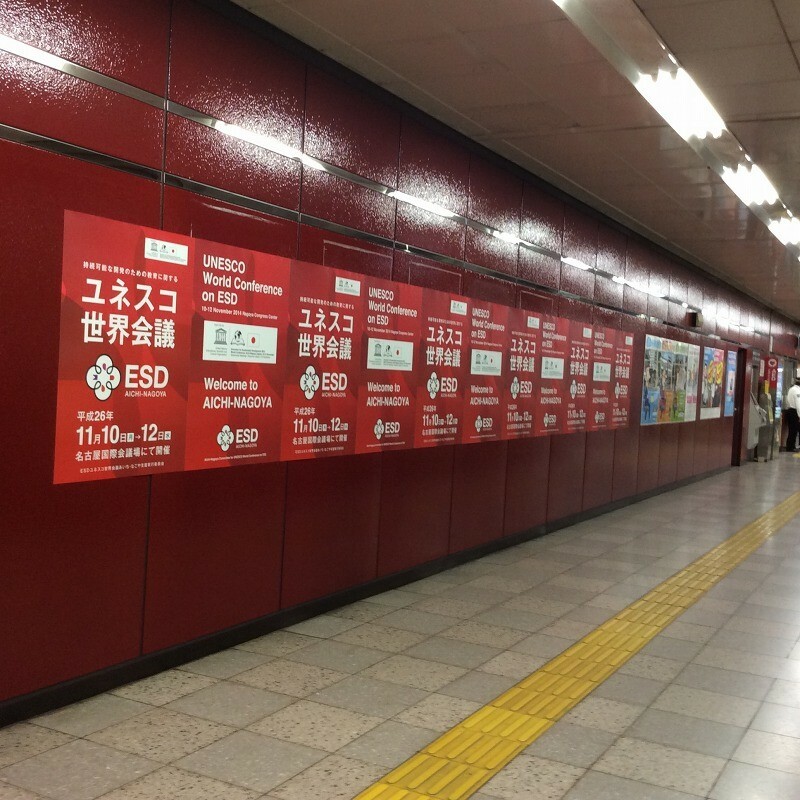 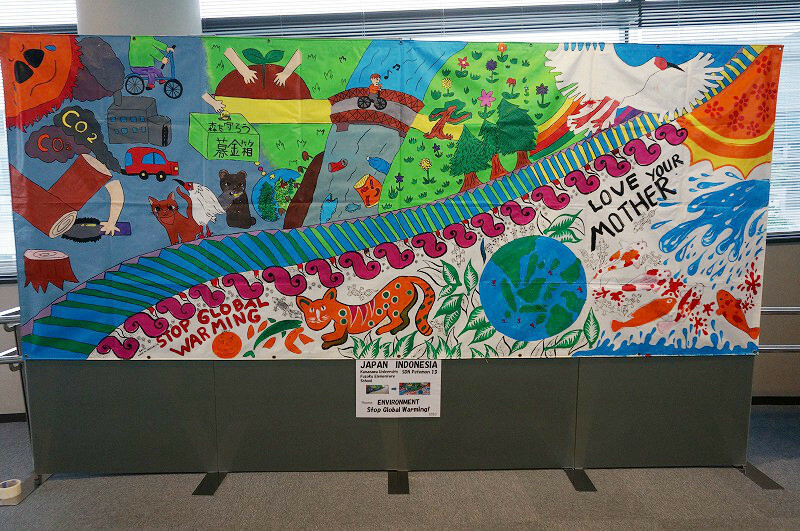 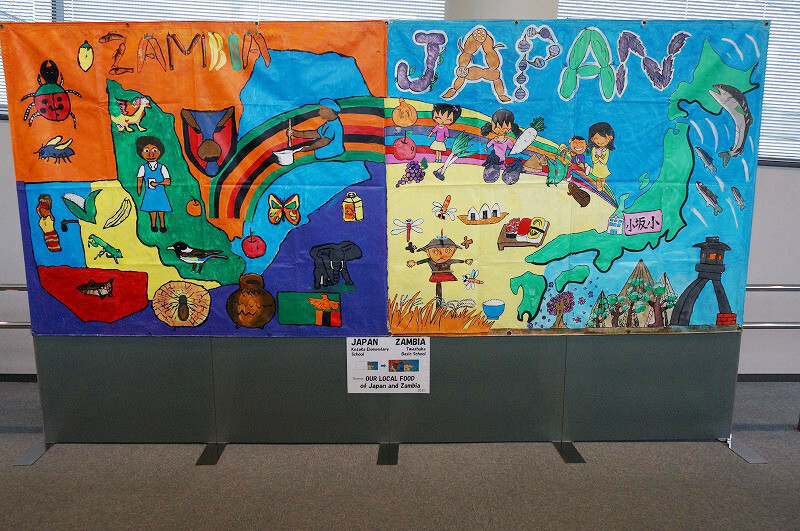 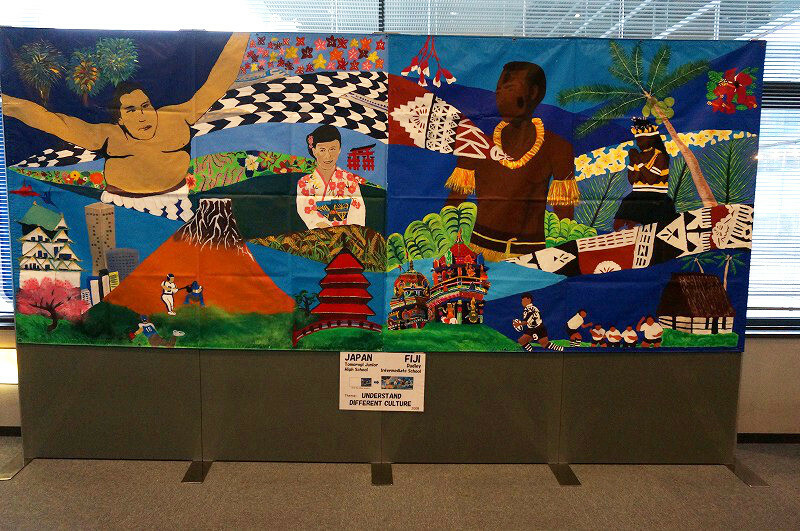 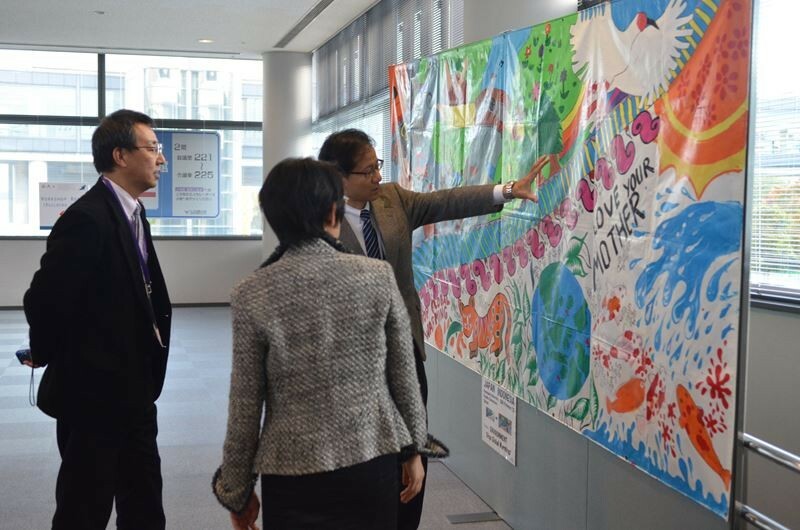 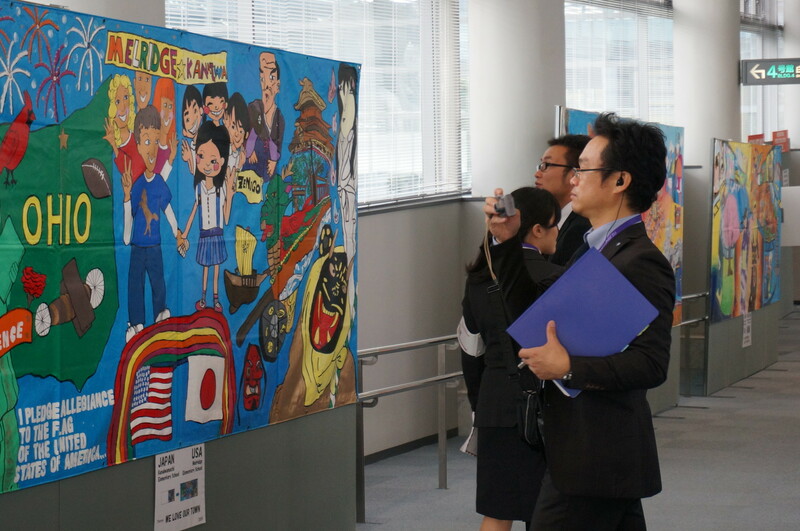 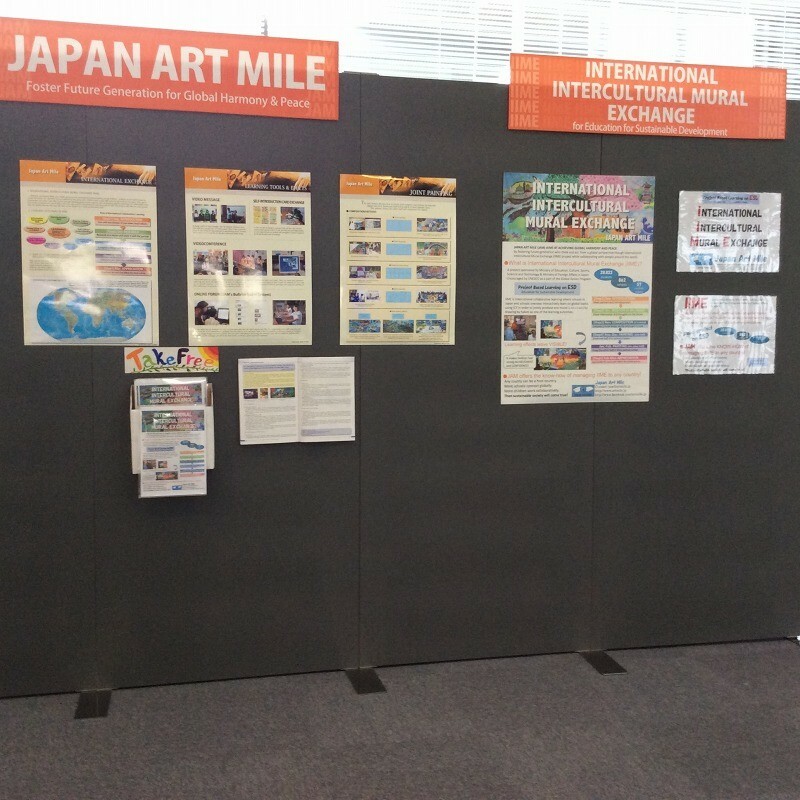 JAM was permitted to display murals along a hallway by UNESCO and Japan Ministry of Education, Culture, Sports, Science and Technology. 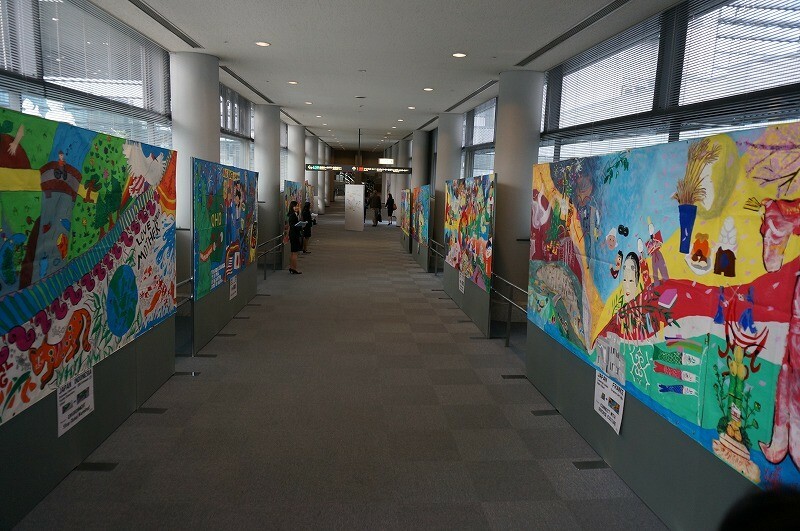 This hallway is access to the conference rooms, where attendants of Ministerial level, UNESCO national committee and so on pass everyday. 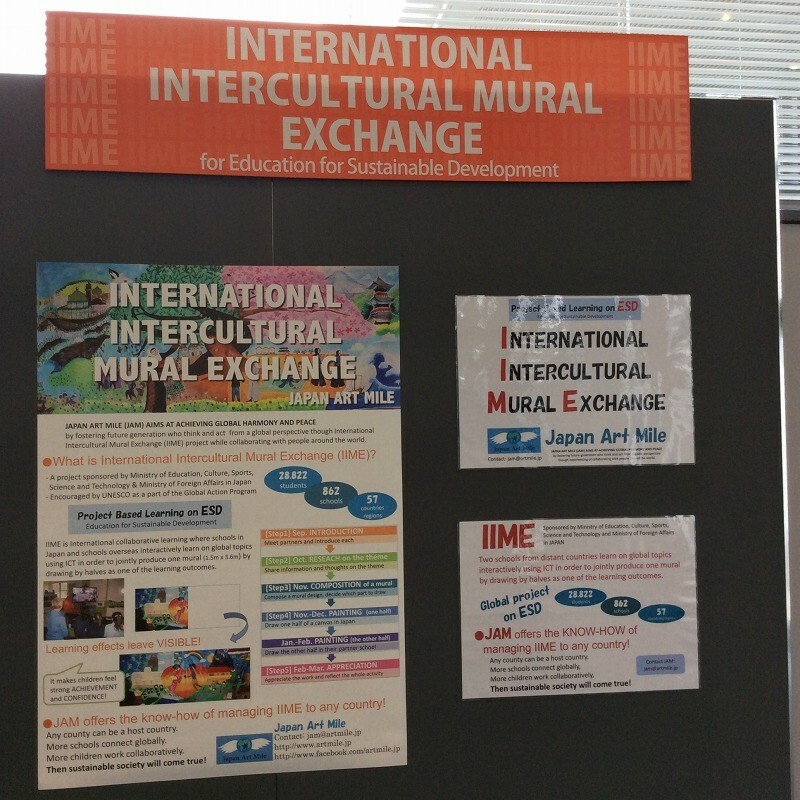 Many attendants stopped to look at the murals, outcomes of international collaborative learning, and got interested in IIME project.